R.W. White is the founding Apostle of World Evangelism Outreach Church in DeFuniak Springs, Florida and holds an earned Doctorate of Divinity from River of Truth Bible College in Searcy Arkansas. Founded in 1984 in a small storefront building, World Evangelism Outreach Church reaches around the earth evangelizing, planting churches, encouraging Pastors and church leaders. From their television stations via satellite and the world-wide web they are covering the Globe with God's Word. RW and Elaine White travel as ambassadors to the nations encouraging and helping the saints. They have two daughters Tessie and Jenny Jo; two granddaughters Racheal and Josie, and one son-in-law Pastor Ben Barton. Who lives inside the believer? 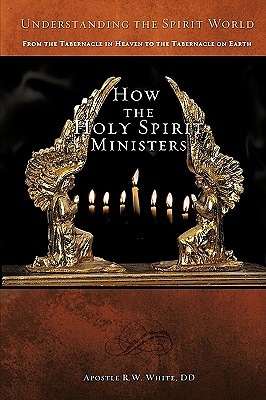 Is it Jesus, the Father, the Holy Ghost, or the Holy Spirit? Is He a person and if so how does a person live in each Christian all around the world at the same time. What happens when saints pray? How does God hear our prayers? How does He answer our prayers? What state of being are the departed saints in when they die? What will be the role of the church after this life is over? These and many other questions are discussed in this book and answered for your understanding from Zachariah chapter four.